Projects include: The Gnome Knows Sewing caddy, Gnome Garden Pincushion, The Buffalo Gnomes Tote, Pocket Full of Posies Apron, and Hedgehog Needle Keeper. 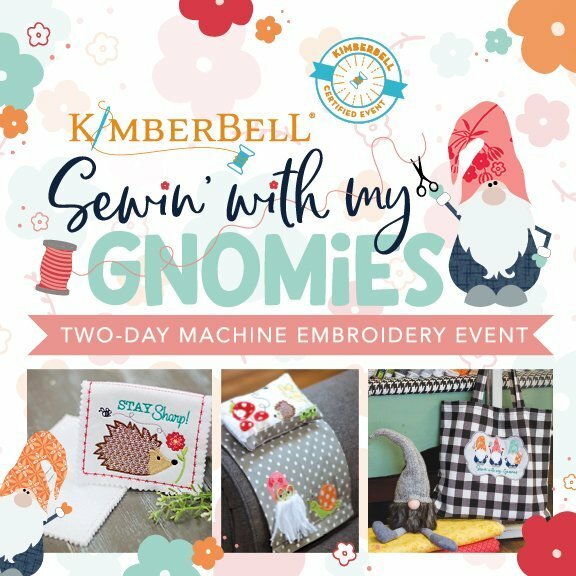 Lunch is included both days and you will receive a Kimberbell project bag and fabric kits with everything you need to create five event projects including the full-colored instructions and designs CD. This event is non-refundable unless there is a waiting list. Includes Lunch and all project materials.